Qdoba, Sports Clips and Freddy's Frozen Custard and Steakburgers. * Located at Main and Main of the trade area. * Site is at the main entrance of Crossroads Mall. The regional mall contains 890,0020 Sf of retail. 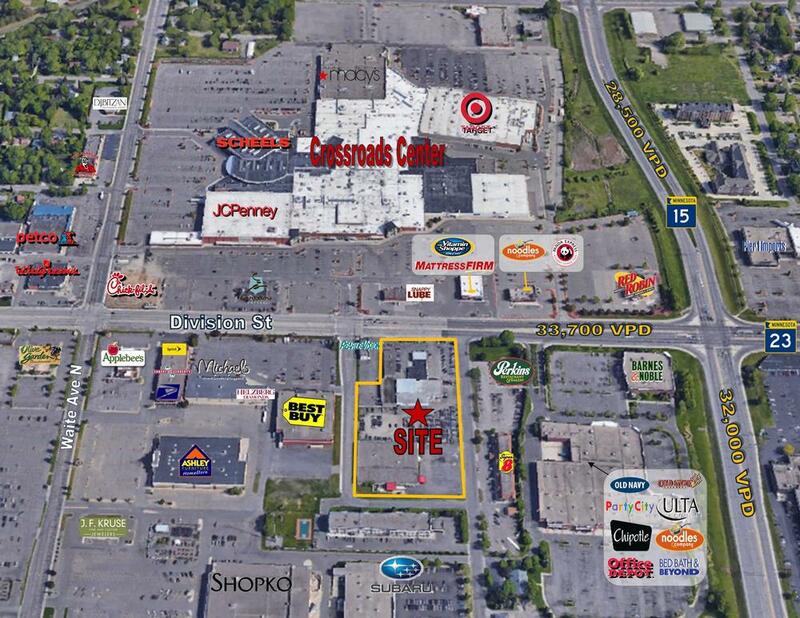 * Adjacent Tenants include; Best Buy, Bed Bath & Beyond, Barnes & Noble, Michaels, Office Depot and Ashley Furniture. * Located near the V.A. Hospital of St. Cloud. * Visibility from the intersection of Division Street and Hwy 15.